Most quality Test teams are good because they play basic, disciplined cricket for longer periods than the opposition. You cannot tell England play disciplined, basic cricket. We play high-risk cricket. My message is: keep playing that way if you want, but it is not going to be successful consistently over time. I will give them a warning too. England are unbeaten in nine Test series at home, but if they are not careful they will get a nasty shock this summer against Australia. Australia arrive in England in a few months, and even though they are struggling and have gone through turmoil, their bowling attack is strong, their leadership is good and when David Warner and Steve Smith are back in the group, they are going to be tough to beat. If they win a toss or two, get a couple of strokes of luck, then England might be in for a surprise. We all have England as favourites to win the World Cup as well. I know it is a different format, but in the West Indies they have not coped well under pressure. A lot of the same players will be in the World Cup squad, so what gives us confidence they will suddenly cope with the whole nation expecting them to win a home World Cup? Don’t dismiss this tour just because it is a different format. It is a warning sign that unless they open their eyes to reality, this great year for English cricket might come unstuck. It is the mentality and culture of how they bat in Test cricket that has to change. There is no way in Test cricket that you can go out and score off every over. The batsmen who win Test series play like Cheteshwar Pujara did against Australia recently, or how Kraigg Brathwaite and Darren Bravo have against England, or the way Smith ground us down in the Ashes last winter. For example, Jonny Bairstow was praised after day one in Antigua for playing a cameo. That is a sign we are struggling. I want to praise a Bravo-style innings, someone who fights for his life and challenges the bowlers to bowl a Jaffa to get them out. He was prepared to “bat ugly”. I do not think we are prepared to do that. England’s batsmen want to look pretty and hit the middle of the bat all the time. Nobody is prepared to do the hard work and score 10 runs an hour and adapt to a pitch that does not let you hit through the line of the ball, play on the up and hit boundaries. To win a big series against proper bowling you need players who can hang in there. Bairstow is probably going to end up batting down the order. You cannot be bowled 29 times in Test cricket and stay in the top three. I think he has the ability to bat at three but he does not want to be there. You can see that with the way he plays. He wants to be a dasher. But let us not give them any excuses. Players have batted out of position but it is still 22 yards and a red ball coming at you. It does not matter where you bat. They have too much ability to be producing these kind of performances. If you take out the recent series in Sri Lanka, and having seen them in Australia, they are nothing more than a decent county team. Since 2016, England have averaged innings totals overseas of 265. Not one individual batsman averages more than 40. You are not going to win games batting like that. 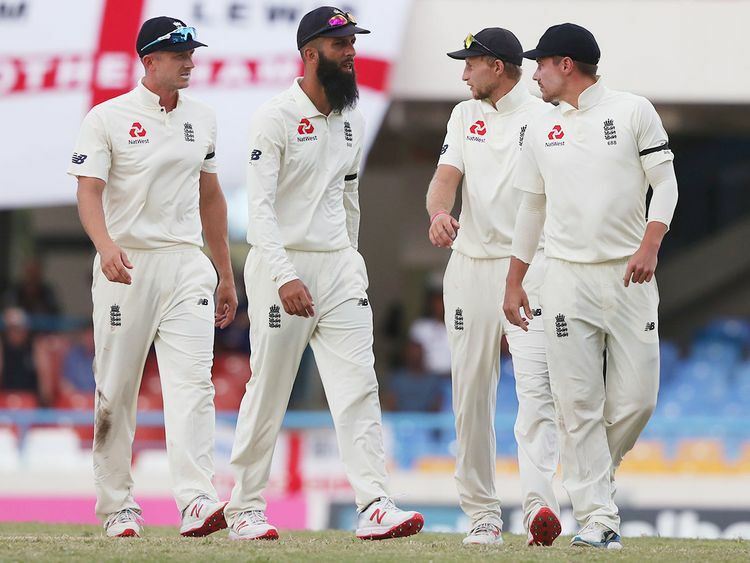 The captains, batting coach and management can speak to the players, but if I was with England at the moment I would get James Anderson and Stuart Broad to lead a meeting of the batsmen. What the batsmen should be asking Broad and Anderson is: “How would you like us to play?” Sometimes the best batting coaches are the bowlers. If you asked Broad and Anderson how to get England’s batsmen out, they would say you just have to bowl dots and build pressure knowing they will make a mistake. Those two have so much experience they can give the lads some home truths about where they are going wrong because something culturally has to change in this Test team. They are too good to be this inconsistent.